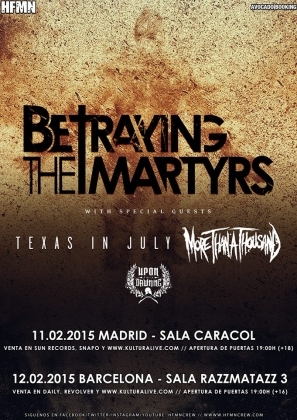 The band from Paris is offering two shows in Spain. They won't be alone at stage. There are three special guests playing too: Texas in July, More Than a Thousand and Upon this Dawning close the line-up. The spanish promoter HFMN lately confirmed these two dates: first stop is in Madrid on February 11, at Sala Caracol, and the second show is taking place in Barcelona, Sala Razzmatazz 3 on February 12, 2015.